Much has been said and written in support of or against Kaal Sarpa Yoga. Neither the Maharishi Parashar, Jaimini, Mantreshawara, Kalyan Verma, Vyankatesh Sharma, Varahamihir and other classic writers have not mentioned about it. But the concept of Kaal Sarpa yoga exists in the society as the Manglika dosha. The great importance has been given to snakes in Vedic period. Not only in India but the ancient culture of America, Australia, Africa, Egypt, and other cultures also worship serpents. They symbolise the snake with fertility due to their appearance as umbilical cord, birth and regeneration, immortality, symbol of eternity, healing, gods, wisdom and knowledge. It is believed that snake coils the earth. The biting of his tails by his mouth symbolises ocean. Indian mythology is full of such myths. In Indian mythology, the sustainer Vishnu is taking rest on the coil of Shesh naga, Goddess Lakshmi is serving him on his feet, creator Brahma is sitting on Kamal/ lotus flower coming out of umbilical of Vishnu. The Shesh naga in turn is supported by Kurma, another part of Vishnu. Lord Shiva has worn ornaments of serpents around his neck and arms. What does it symbolise? According to me, it symbolise that the sustainer Vishnu has created world /Universe according the Karma. You will also find picture of Bhagavana Narayan standing on the coil of snake in Satya Narayan puja on puranmasi. So serpent symbolises Karma. The picture of Lord Shiva indicates the cure of KSY. The Kaal is time, moving like a snake, ups and downs. The Kaal Sarpa yoga indicates that the native has to suffer like a snake due to his past Karma in his present life. The Kaal Sarpa Yoga is found, some time in all the members of a family. It is Karmic representation. These native have come to fulfill some specific work in his life. He has to struggle hard to achieve his aim in his life. While surfing internet or different groups on internet, we find that the enquiry about Kaal Sarpa yoga is sought and discussed by different surfer. The Kaal Sarpa Yoga has become the most common point of discussion in the country. It is said that this is most ominous combination, all the beneficial roles of planets are destroyed & the native having Kaal Sarpa yoga in his chart is said to be suffering through all kind of hardships throughout his life, while his hardship doesn’t yield any good result. Respected Shri K.N.Rao, an eminent and renowned astrologer of International fame, my teacher, and guide in Bhartiya Vidya Bhawan, frankly refute the existence of Kaal Sarpa yoga and written a book on it. But the refutation of the yoga is mainly based on that it did not have been mentioned in classical works. What is not mentioned in classics has no existence? It is not a scientific logic. The Astrology is a science. The classical works are not the beginning or the end of Astrology. It is only a basis on which we are standing and to move further and solve the problems of time and space of present. On the other hand, Dr. B.V. Raman, the father of revival of Indian astrology and the founder-editor of THE ASTROLOGICAL MAGAZINE) accepts the KSY. He opines that KSY arises irrespective of whether all the planets are in between Rahu and Ketu or Ketu and Rahu. Dr. B.V. Raman is of the opinion that if all the planets are hemmed in one side of the axis and Ascendant is on the other side of the axis, the evil arising out of KSY almost gets neutralised. It is a sort of cancellation of the yoga. Sh. P.S.Shastri, another a highly qualified, learned and renowned astrologer who has translated Jaimini Sutram and Uttar Kaalmrita has also subscribed to the KSY. He discussed about KSY in Astrological Magazine from Bangalore, in December 1964, October 1987, and September 1994. While discussing KSY he quoted a shloka, but did not mention the root. The same shloka is also found in Panchangs. The shloka has nothing to do with jatak astrology, but with mundane astrology. However he has accepted that classics did not mention about the same. In the same magazine, another writer has mentioned about the Sarpa yoga when Sun, Mars and Saturn occupied Kendra. Here again there is no mention of Rahu and Ketu. This yoga has been mentioned in many classics like Brahat Parashar Hora Shastra, etc. 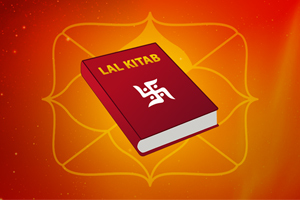 Some astrologers have divided the yoga in Kaal Sarpa yoga (KSY) and Kaal Amrita Yoga (KAY). It is to be remembered that Rahu/Ketu are always in retrograde motion. When all the planets are hemmed in between Rahu and Ketu counted in clockwise motion in North Indian chart, it is Kaal Sarpa Yoga. When all the planets are hemmed in between Ketu and Rahu counted in clockwise direction in North Indian chart, it is called Kaal Amrita yoga. The KSY enhances materialism and comfort in the life of the individual and KAY enhances spiritualism and renunciation in the life of the individual. The KSY raises the individual from rags to heights then to rags again, snake and ladder game. The KAY keeps the individual contented and satisfied in rags. So the end results of both the yogas is the same. The life is full of struggles. We will not be able to appreciate the yoga till we understand the principle working behind the same. 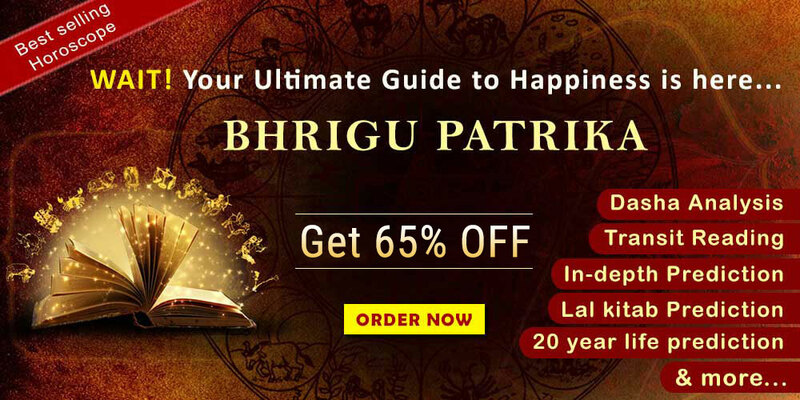 It is well known principle of astrology that when ever a planet or a house is hemmed in between the malefic planets the significations of the planet or the house suffers. Naturally when all planets are hemmed in between Rahu and Ketu, the malefic by nature, the significations of the nativity suffers. The most powerful planet Sun suffers when Rahu eclipses the same. According to our mythology, Rahu signifies our Karma. Therefore KSY/KAY signifies our Karma, good or bad. Laghu Parasari says that Rahu & Ketu if occupies the Kendra & Kona and even if they are not related to kendra or trikona lords, still in their own antar dasha will give results similar to Raja Yogas (chapter 4, shloka 8). 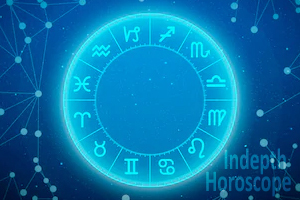 While discussing about Rahu bhukti under Rahu dasha, Maharishi Parashar says in his book that it is always auspicious to have Rahu in Cancer, Sagittarius, Virgo or Taurus (chapter 41 shloka 1) & in Shani Dasha Rahu Bhukti, he says that it is auspicious to have Rahu in Aries, Taurus, Cancer, Leo, Sagittarius, or Pisces. (chapter 43 shloka 67). As you all know that Sarvarth Chintamani is a good reference while analysing dasha results. In the same text the dasha results of Rahu has been said to be good, provided it is posted in Aries, Taurus, Cancer, Virgo, Sagittarius, or Pisces. (chapter 16, shloka 21 & 22). Moreover according to Maharishi Parashara, one should predict about ones wealth from the position of Rahu (chapter 14 shloka 19). It is expected from a learner of Jyotish to know that a well-placed Rahu in his dasha gives wealth. Therefore Rahu does not give only malefic results. How can its yoga give only malefic results? It gives benefic results also. An ounce of experience is worth tones of theory. No detailed study has been under taken to search the life pattern of such natives who suffer from Kaal Sarpa yoga. I have taken up the study of such persons and have found that the Kaal Sarpa yoga has its effects. So I have classified it under Nabhas yoga. According to Sage Parashar, the Nabhas yogas are those yogas which are formed due to the position of planets or appearance of planet from each other in the chart. If the appearance of planet is like a Snake, Sarpa yoga name has been give. If it appears like a Musala, Musala yoga name has been given etc. On the basis of appearance of the planet, name of the Yoga has been given as Kaal Sarpa yoga. The Kaal Sarpa yoga is a yoga. The effect of yoga depends on the strength of the planets which forms it. The strength of the planet depends on bhava, sign they occupy and conjunction with or aspected by other planet. The yoga can be cancelled as there is cancellation of Raja Yogas and Neech Bhanga raja yoga and other cancellations. Similarly Kaal Sarpa yoga can be cancelled. As we say that if you want to condemn astrology, first study Astrology and then condemn it. Similarly if one wants to condemn Kaal Sarpa yoga, first study the life pattern of those who have Kaal Sarpa yoga, then condemn it. Late Sh Jawaharlal Nehru, India Independence chart, Sh Morarji Desai, Osho Rajneesh, Lata Mangeshkar, Dhirubhai Ambani, Kuldip Sing Jain, Margaret Thatcher, Sachin Tendulkar, Atal Behari Vajpai and many other prominent personalities have Kaal Sarpa Yoga. They have touched the Everest heights in their life. I do not like to fill the pages by giving their horoscopes. But they have KSY in their birth chart. If we study the life pattern of these eminent personalities we find that they have life full of struggles to achieve goal of life. They have risen to heights through ups and downs in life. 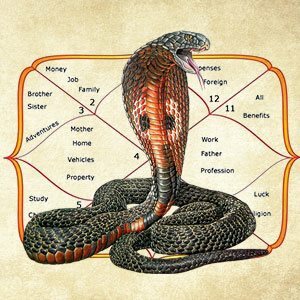 So Kaal Sarpa yoga indicates struggles in life and ups and downs in life as in the game of snake and ladder. It is not a malefic yoga. It is not a benefic yoga. It only indicates that the whole life is full of struggles. Those natives who have the yoga in good house, sign, and planets are strong, they are raised to the heights and those who have the yoga in malefic house, sign, and planets are weak and afflicted, they suffer through out life. It is similar to Raja Yoga where the native will have wealth, name and fame and other facilities of life. It is Daridra Yoga in which the native suffers humility, penury, and diseases. But all these results are dependent on the strength of planets who form the yoga and in which house and sign the yoga is formed. More over it is also dependent on the dasha pattern of the native. If the dasha of yoga karaka planet does not come during his life time, the native will not have the results of the yoga karaka planets. The effects of KSY should be judged from the position of Rahu in the chart. We should see whether the Rahu is posited in Udita part of the chart or Unudita part of the chart. Rahu is more powerful in Udita part of the chart. Whether the planets are posited in clockwise direction in the North Indian chart from Rahu or Ketu. If the planets are posited in clockwise direction from Rahu it is KSY. If the planets are posited in clockwise direction from Ketu, it is KAY. The KSY is more powerful. Rahu in Kendra or trine is benefic planet. Rahu posited in own nakshatra does not scare the native. If the dispositor of Rahu is posited in Kendra in his own, or exalted sign in that condition Rahu does not scare the native. The navamshesha of Rahu also play an important role to give malefic or auspicious results. If Lagna, lagna lord, Sun and Moon, any two are strong. If there are benefic planets in Kendras or trines. If there are malefic planets in Upachaya houses. If there is Panch Mahapurush yoga in the chart. If Venus is posited in 2nd or 12th without any conjunction or aspect. If Jupiter is posited in Lagna, 4th or 10th without any conjunction or aspect. If there is Budha-Aditya yoga in Kendra or trine with out conjunction or aspect. If a planet has Dikbala and not conjuncted or aspected by any planet. If Lagna does not fall in between KSY. If a planet is out of KSY except Moon and Moon is not afflicted or the planet is not in the nakshtra of Rahu or aspected by Rahu. It is shown by a small straight line. But by doing auspicious Karmas, we can draw a bigger line which will make the past karmas smaller than the present Karmas. The native will be able to endure them with out much suffering. It is saying “ Sooli ka Kanta ho jana” What are the auspicious Karmas for KSY? Always remember that the yoga has formed due to your past karmas and it can be cancelled only by your auspicious karma. Due to pursuit of materialism, the human lost his peace of mind. He is full of fear. His family life has disturbed. His children do not obey or respect him. His wife has adulterous behavior. He has adulterous behavior. He does not have respect for his parents. He has fluctuations in his business. Though he is having all types of comforts of life and money but does not have peace of mind. He earnestly desires peace of mind. He has fear that he may not lose all these comforts and money. He is scared, as he knows that the means of earning of all these comforts are not fair. On the other hand, religion has become a big trade/ business. The people know that Astrology can indicate the future events in time. They read and learn astrology for a few months and get title of expert astrologer. They start their own business with out any experience. These cheats and unscrupulous people start minting money by taking advantage of above fear on the name of KSY, Sade Saati, Manglik dosha, Pitri dosha and what not. They prescribe Yantra, Mantra. Precious stone, Rudraksha, etc to remove the fear of the native against large sum of money. We will enter into ugly controversy if we say that karmas can be destroyed by Shanti Patha by a karma kanda pundit and visiting this or that temple. 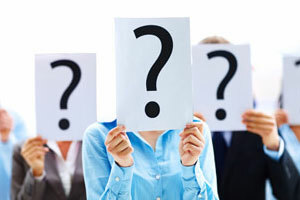 It will mean that only rich and resourceful person who has plenty of money and can spend it will be able to overcome it The poor person can not get rid of malefic karmas and have to suffer from them because they have no sufficient amount of money to spend on costly shanti patha and to pay to karma kanda pundits. 1.Lead a simple and ethical life with compassion and love for others. 2.Pay respect to your elders persons. 3.Control your Kaama, Krodha, Lobha, Moha, and Ahankaara. 4.Help needy and suffering persons with love and compassion. 5.Chant “Om Namah Shivay” daily to purify yourself and get control over your instincts. Lord Shiva is the symbol of control on “Indriyas” and basic instincts and renunciation. Lord Shiva is the controller of all the planets and will bless you. He will help you to improve your behaviour.